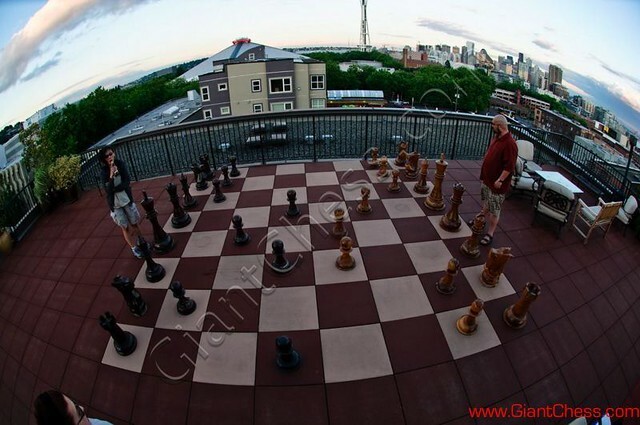 Those giant chess pieces are standing on Queen Anne Hill, Seattle. It looks so glorious when the giant chess pieces placed outdoor with beach scenery around. The giant chess pieces not only use for outdoor chess game, but it can also use as outdoor decoration. The giant chess pieces are suitable for placed at outdoor area, such as; garden, hotel, villa, resort, or other outdoor area. Those are made from the famous strong wood in the world, Teak wood. Based on its raw material, the giant chess pieces are durable in any seasons.